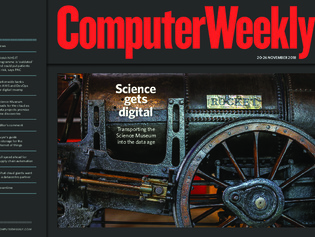 In this week’s Computer Weekly, we find out how London’s Science Museum is dealing with legacy IT to move into the age of digital and data. We examine Nationwide Building Society’s move to cloud and DevOps to transform its operations. And we look at how technologies such as machine learning and blockchain are helping to automate global supply chains. Welsh Assembly’s Public Accounts Committee condemns “archaic and fragile IT systems which don’t deliver on their promises” and finds the culture at NHS Wales Informatics Service the “antithesis of open”. The internet of things brings challenges, with a host of new edge devices and data. We look at edge and core processing, compliance and information lifecycle management from an IoT perspective. Colocation is booming, but why are some operators more successful in attracting the hyperscale cloud giants?